The Society of Collision Repair Specialists on Wednesday announced the 10 speakers who will confront the auto body repair industry with “brash, outspoken and thought-provoking concepts” during the inaugural IDEAS Collide Showcase next month. The 10 a.m. to noon event Friday, Nov. 2, in Las Vegas follows three days of Repairer Driven Education courses and the OEM Collision Repair Technology Summit during SEMA. 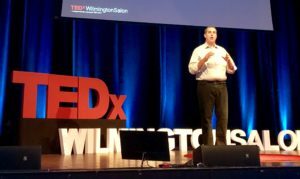 Using a format similar to the popular TED Talks, the 10 speakers will deliver “fast-paced presentations designed to stimulate thought, innovation and resolution of business challenges with brash, outspoken and thought-provoking concepts,” SCRS wrote in a news release Wednesday. The lineup includes Matthew Doude, Mississippi State University Center for Advanced Vehicular Systems associate director; Decisely CEO Kevin Dunn; John Ellis, author of “The Zero Dollar Car” and Ellis & Associates principal; JD Hendler and Associates owner Jeff Hendler; UVeye CEO Amir Hever; Dan Langford, innovation director of the Nevada Center for Advanced Mobility of the Governor’s Office of Economic Development; BASF North America business development manager John Shoemaker; NuGEN IT President Pete Tagliapietra; Ducker Worldwide managing principal M. Scott Ulnick; and Jason Verlen, CCC senior vice president of product management, strategy and marketing. Attend IDEAS Collide and other speakers’ sessions by taking advantage of early registration for the Repairer Driven Education series and OEM Collision Repair Technology Summit at SEMA. The IDEAS Collide Showcase, Repairer Driven Education classes and individual OEM Collision Repair Summit sessions are generally $75 now, $85 after the Friday, Oct. 12 early bird deadline. The best deal is the full-series pass for $375, $400 after the deadline. It grants the repairer access to every RDE class, all three sessions of the Thursday, Nov. 1, OEM Collision Repair Technology Summit, the Sky Villa afterparty in Elvis’ old Westgate penthouse that night, and IDEAS Collide.